Offer expires 3/31/19. Available at participating and eligible dealers only. 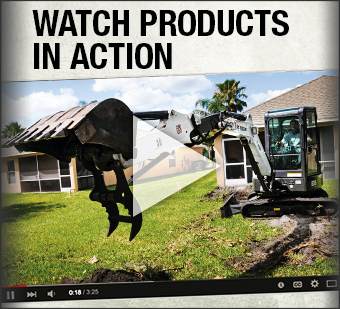 Offer may vary by product type, series, model and select units in dealer’s current inventory. Must take delivery from dealer stock by 3/31/19. Offers available on new equipment in US and Canada only. Some restrictions apply. Length of contract may vary. Prior purchases not eligible. See dealer for details. Financing provided on approval of credit by authorized Bobcat finance providers to well-qualified buyers. Administrative fees may apply. Offer not available to government accounts, national accounts and municipal/utility bid customers. Non-commercial customers may not be eligible for low rate financing. 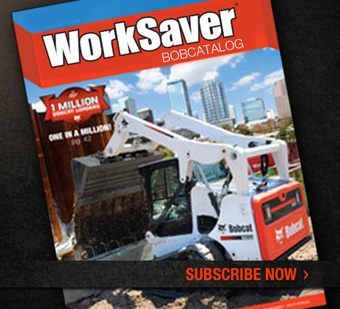 Bobcat Company reserves the right to extend or discontinue any of these programs at any time without prior notice. Offer expires 3/31/19. Available at participating and eligible dealers only. Offer may vary by product type, series, model and select units in dealer’s current inventory. Must take delivery from dealer stock by 3/31//19. Offers available on new equipment in US and Canada only. Some restrictions apply. Length of contract may vary. Prior purchases not eligible. See dealer for details. Financing provided on approval of credit by authorized Bobcat finance providers to well-qualified buyers. Administrative fees may apply. Offer not available to government accounts, national accounts and municipal/utility bid customers. Non-commercial customers may not be eligible for low rate financing. 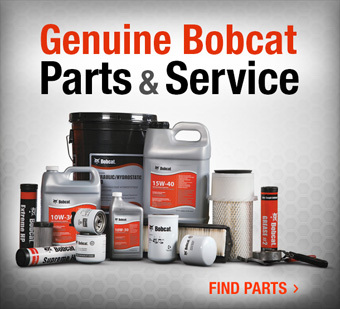 Bobcat Company reserves the right to extend or discontinue any of these programs at any time without prior notice.